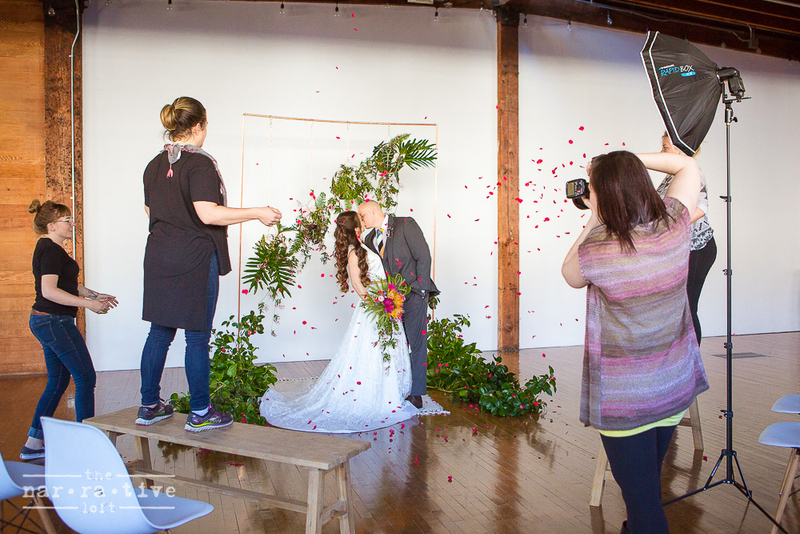 Last week The Narrative Loft transformed into an organic space for a styled wedding shoot that captured the unique beauty of Jane Alexandra Events. 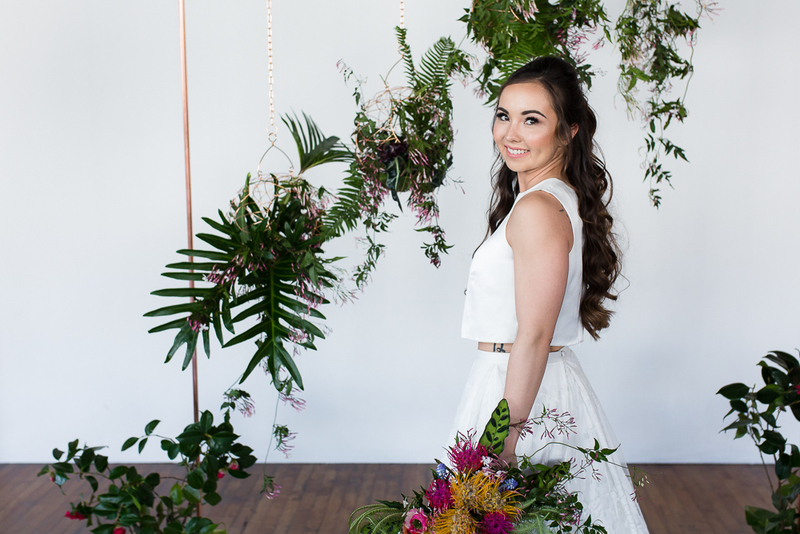 Jane of Jane Alexandra Events says it is "my dream is to help make every event I plan as unique as possible. Every person is different and it's those differences that make us special. Your special qualities should be reflected in your event and I am here to make that happen!" Jane collaborated with businesses from the greater Los Angeles area to showcase the talent of each vendor in a unique fashion. By transforming The Narrative Loft into a nature-filled Santa Barbara wedding venue, the space served as a hub of ideas and crafts for these vendors. The diversity of craft and professional expertise reflect Jane's vision of how the differences in life make us special. 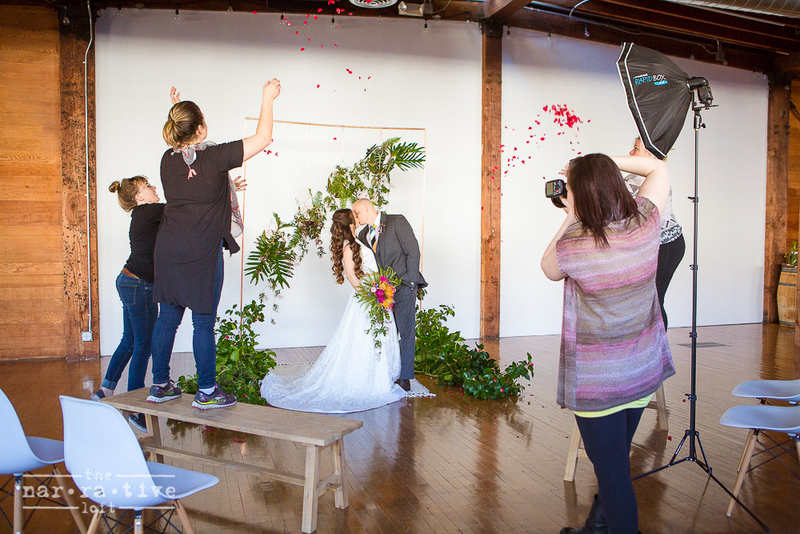 The energy in the loft inspired the one-of-a-kind beauty of this styled shoot. In true DIY fashion, we have captured some before and after shots to show the transformation of a space filled with props into a beautiful styled wedding shoot. The "making of" the beautiful image below. 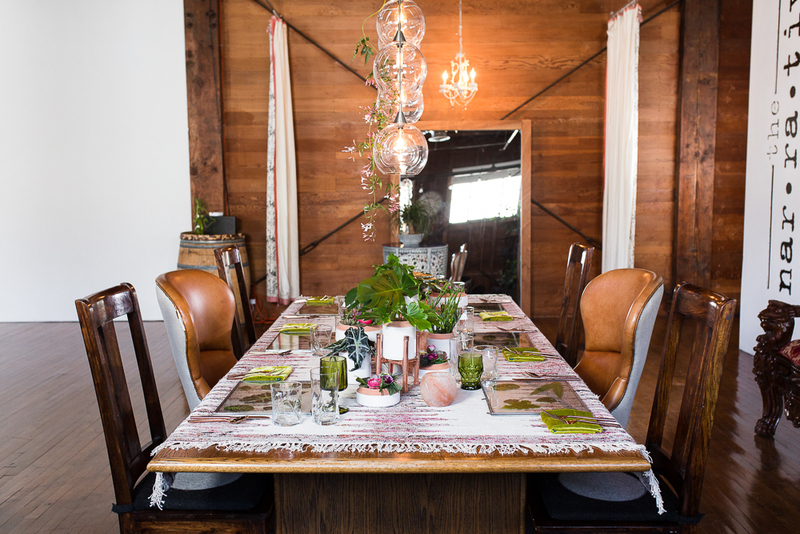 Missy Fine Inc. styled the shoot with vibrant succulents and natural furniture provided by Party Pleasers Event Rental Co. that truly fit the outdoor vibe of Santa Barbara. Small details like the bride's two-piece lace & liberty gown, the pops of color in the groom's Friar Tux Shop tuxedo, the floral arrangement on Katherine's Sweets wedding cake, and the natural elements incorporated in the Lotus & Ash stationary added to the unique feel of this shoot. Cheek to Cheek Artistry provided stand out make-up and hair services to further enhance the beauty of the couple. Shoutout to Stefani Ciotti Photography for capturing amazing photos of the shoot! We are so happy that our "LOVE" at The Narrative Loft can bring together so many to tell a beautiful story.